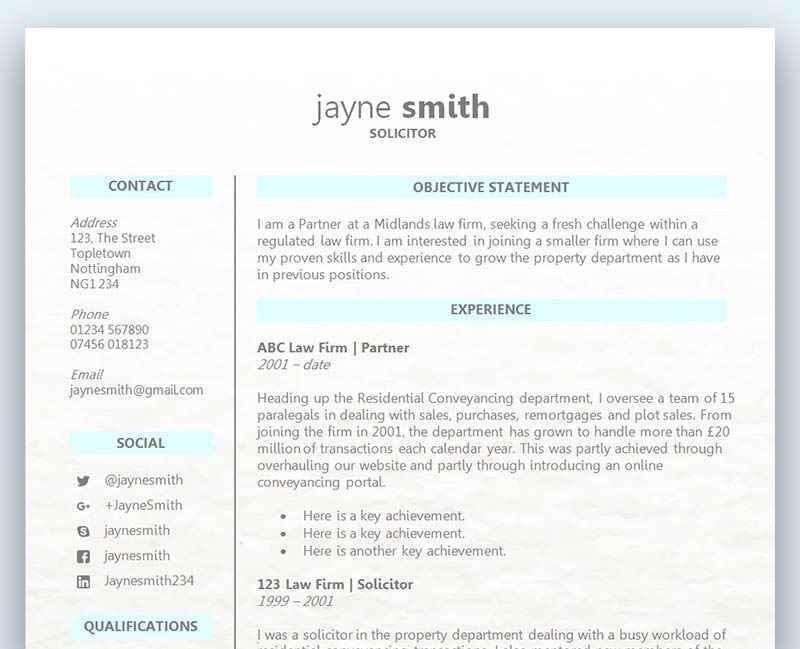 This is a fantastic new take on our popular 'Colour Blocks' CV template which we released first in 2016. This lovely updated version has a more modern font, swapping out Montserrat for Open Sans and Open Sans Light. It uses more space, different alignment and the font-spacing feature, while retaining the lovely colour block strips down each side. We've also spread the template onto page two, giving you more room for your work history and other information. Colour blocks CV template : 2019 update	Overall rating:	5	out of 5 based on 4	reviews. A super original design that has been given a brand new fresh look - our colour blocks CV template is suitable for a very wide variety of roles and gives your CV a great eye-catching splash of colour without overly detracting from your key information. Is this CV template right for me? Searching through the vast amounts of content online for help with your CV will have likely uncovered many different examples of CV templates. If you’re unfamiliar with what a CV template is or does, then read on. A CV template is essentially a layout that has been created to allow you to simply add your CV content straight to it. A typically CV template will have all the relevant sections – personal statement, skills, work history, hobbies, and so on. So rather than create your own sections and headings, you can just copy and paste your CV content straight onto the template. Whether or not this is the right thing to do is probably what you’d like to know. Will this CV template save me time? Yes, it certainly will. One of the main benefits of using a ready made CV template is that it will save you a lot of time. If you’ve created your own CV from scratch before then you will know how long it takes just to decide upon all the sections, lay them on the page correctly and in order, adjust all the headings, choose the right font, and so on. A ready made CV template will have already done this for you, and all you have to worry about is picking the one that suits you the best. If you have already created the content for your CV, then copying it onto the CV template will take a matter of minutes. Will this CV template look good? It’s important to remember however that you should bear in mind the role and the industry you are applying too. Certain companies would frown upon seeing a wacky and creative CV template that has lots of colour and strays from the traditional black and white template. On the flip side, some companies find a little colour refreshing. A more colourful and fresh design would likely impress a company who is advertising for a creative role – a graphic designer for example. Our team of in-house experts have created some CV templates with a specific role in mind. So if you are fortunate enough to find a template matching your industry or position, then it could just be the perfect fit for you. Should I be creating an original layout? There is nothing wrong with creating your own CV from scratch, without any help or the use of a pre-made CV template. There is however a few things to consider if you do decide to fly solo. Firstly, you have to be completely satisfied in your own abilities to create a CV from scratch. Your knowledge of all the sections, how they fit on the page, in what order they go, and how you present your details needs to be good – very good! It’s not to say that you don’t have these skills, but you should ask yourself how confident you feel. Remember, your CV is possibly going to be up against lots of other candidates who have used a free CV template they found online. Are you able to create one just as good or even better? Secondly, do you have the time to sit and create a CV from a blank page? Starting from nothing but a blank page is a very difficult task. Typically you would need to see some kind of example to get you started. This CV template will save you a lot of time and ensure the correct sections are included in the right order. I love this template so much – you can’t see that the colour bars continue and change colour down the page on the preview, but they do. It’s a super layout. Do you think this would be okay with Auto CV software? Yes, auto software only really struggles with graphics. This is just tables with background colours. Should be fine. I cannot download or open “Free Colour blocks Word CV template : 2019 update” whenever i try to Open its page. Thanks so much for letting us know about this error! We’ve now corrected the link on our main CV templates page. When you land on the Colour Blocks CV template page you just need to find the Price: Free Download link to get the template. Thanks again and have a super day!